Brushes in Aluminium oxyde available in several grits and size. Suitable for soft polishing. Wet application. Available grits: from P36 till P1000. 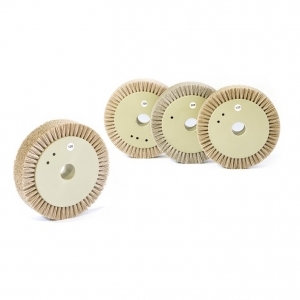 Longlasting product, the application is suitable together with other aluminium oxyde brushes in different grits. Size and diametre under customer request.